A study reveals that there are 50, 000 vacant jobs in Data Analysis sector. 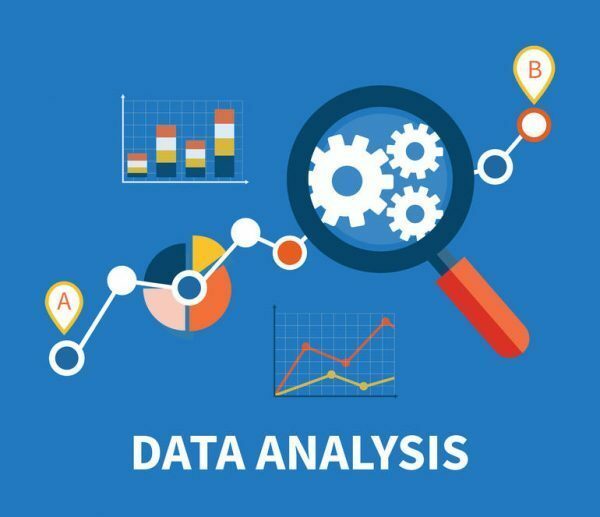 Let us dig further about Data Analysis Jobs in India. Aspirants looking for jobs who are in any way related to Data Analysis, breathe a relieving sigh! A survey conducted by Edvancer, an Online Analytics Training Institute, reveals that there are 50, 000 job vacancies in India. These job vacancies in the field of Analytics are said to hike up to 80,000-1,00,000 by 2018. The survey– Analytics & Data Science India Jobs Study 2017, was carried out over a period of six months by Analytics India Magazine, in association with Edvancer Eduventures. Aatash Shah, Founder & CEO, Edvancer Eduventures said, “last year, there was a demand for 20,000 to 25,000 analytics professionals which has now risen 50,000 in 2017“. 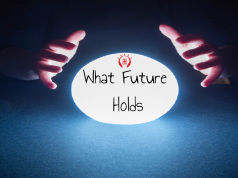 “There is a huge shortage of skilled talent in the analytics space. 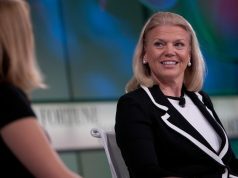 Demand is outstripping the current supply,” he added. The study depicts that the median salary being offered in India is Rs 10.5 lakh per annum. It further said that 28 percent of all analytics jobs offers a salary range of Rs 6 lakh-Rs 10 Lakh. 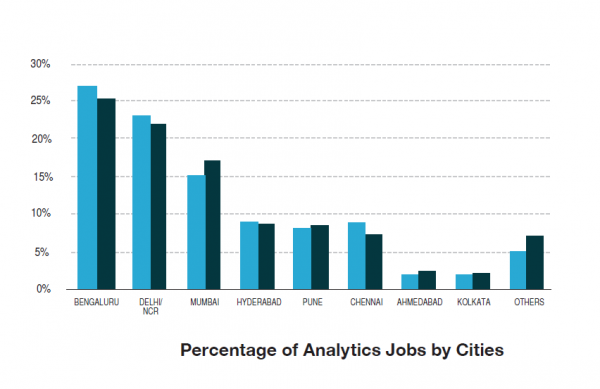 And about 24 percent of the jobs in analytics are offered a salary of Rs 3 lakh-Rs 6 lakh. Shah explained that an absolute fresher in the analytics space can get a package of Rs 6 lakh per annum. He also said that this increases much faster with the years of experience. In terms of sectors, banking & financial sector continues to be the biggest churner in analytics job market. 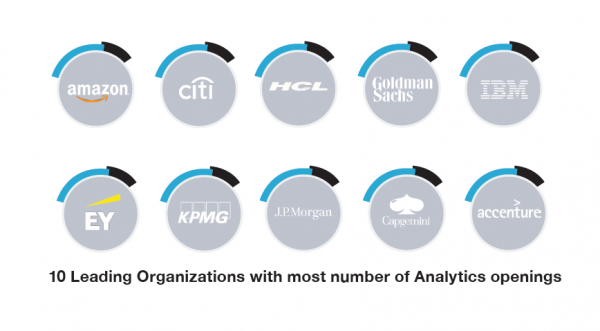 About 46 percent of all jobs posted on analytics were from the banking sector. 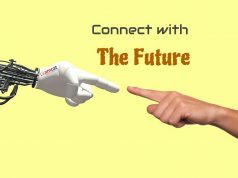 “Automation, which is the buzzword currently, involves machine-learning and this is a part of data science. This is replacing a lot of traditional jobs,” said Shah. He added that companies want people who can implement it practically and banking is one of the largest users of analytics. “Compared to worldwide estimates, India contributes just 12 percent of open jobs opening currently. The no. of jobs in India are likely to increase much faster versus the rest of the world as more analytics projects get outsourced to India due to lack of skills across the world,” the study dictates. 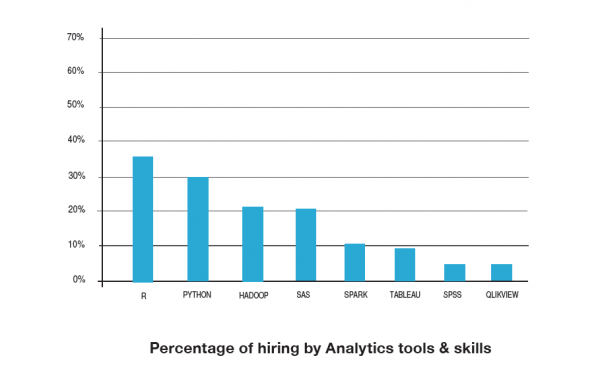 Furthermore, it reveals that the percentage of hiring based on Analytics tools and skills is higher for R and PYTHON. There is a growth of 200 per cent every year along with the number of students that are being trained every month. But, E-commerce has faced a downfall in terms of Analytics Jobs this year. About 10 percent of analytics jobs were in the e-commerce sector as opposed to 14 percent a year ago. The media/ entertainment sector, on the other hand, contributes 7 percent of all analytics jobs as opposed to 4 percent a year ago.